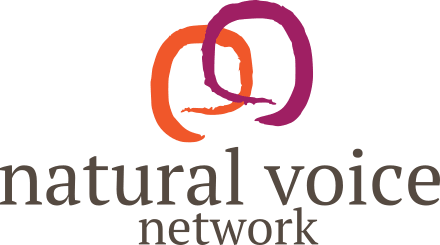 Gavin Frank is a singer, voice facilitator, Kirtan leader, musician, recording artist and composer. He has been involved in music since he was 10 years old and went on to sing in the church choir as a boy. After completing a Classical Music Degree in 1990 (where he studied Free Composition), Gavin travelled around the world exploring festivals, different communities, arts projects, busking and street performance. After a period of integration of these experiences, he began training with Chloe Goodchild in 1999 and studied with her for 10 years. He has also studied south Indian Carnatic singing at the Bhavan Centre as well as various workshops with Tim Jones. 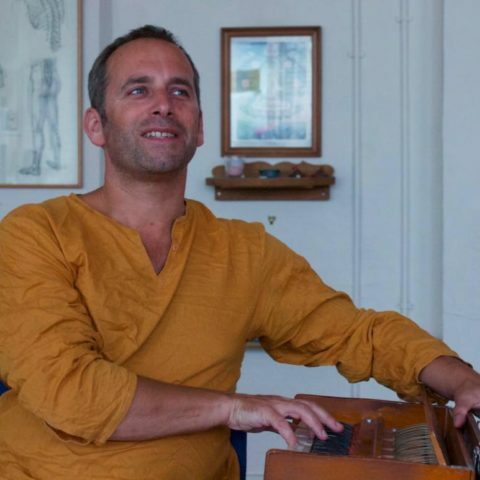 Gavin has been empowering people from all walks of life to find, embody and express the fullness of their own true voice for the last 19 years.He is based in London, leading chanting groups at The Light Yoga Space, Pond Square Chapel, Highgate, Kirtan at TriYoga, as well as facilitating day/weekend voice workshops, individual voice sessions and various themed groups such as singing in care homes with older people; being a musician for 5 rhythms dance retreats in France, Morocco and Switzerland; writing songs for a children’s book and harmonium skillsharing musicianship workshops; voicework with drama students to support their vocal confidence and delivery, as well as offering music therapy in One 40 Worthing, working with those recovering from addiction. Gavin also performs and records in the duo Madrum and they have produced 2 CD’s – Marrakech and Soma – as well as tracks available for download. Gavin is in the process of learning recording,, and some projects in the pipeline are a chant CD as well as more original songs and improvisations. He recently performed at the Barbican, London with renowned choreographer and dancer Darren Johnston. Gavin is committed to expanding his work universally and hopes to travel more extensively through his music and voice facilitation. He also plays several instruments including Indian harmonium, piano, guitar, drum and oboe. Although Gavin is based in the UK, he is open to working in different areas of the UK/Europe/the world,, so if you would like to organise a workshop for him, do get in touch.